Nail Polish Wars: 1 Year Blog-iversary - Thank you!! Can you believe I missed my own blog-iversary?! I mean, come on, Nicole!!! Well ... it was my one year mark on November 10th. That means this past year has been made up of 203 mani posts, 7 giveaways, 1,964 GFC Followers, 2,819 Likes on Facebook, 3,311 Tweets, 1,270 Twitter Followers, 202 Tumblr posts, 1,168 Tumblr Followers, 438 Pinterest Followers, 422 Instagram Followers, a collection of close to 1,000 new bottles of polish, over half a million pageviews, and had 1 new nail polish line release: Elixir Lacquers - not to mention more fun than I could have ever imagined. And none of it would have been possible without all of you!! So, from the bottom of my heart, thank you all so much - from my very first follower, to my newest - thank you all for your support, your words, and for coming back to "visit" me so often. So many people have listened to me go on and on about this obsession of mine, and haven't really understood it. I think they really don't grasp the fact that it's been so much more than an obsession for me. It has been beyond rewarding to meet so many amazing people from around the globe, who not only share my love of all things nail related, but who also have been such inspirations to me over the past year. 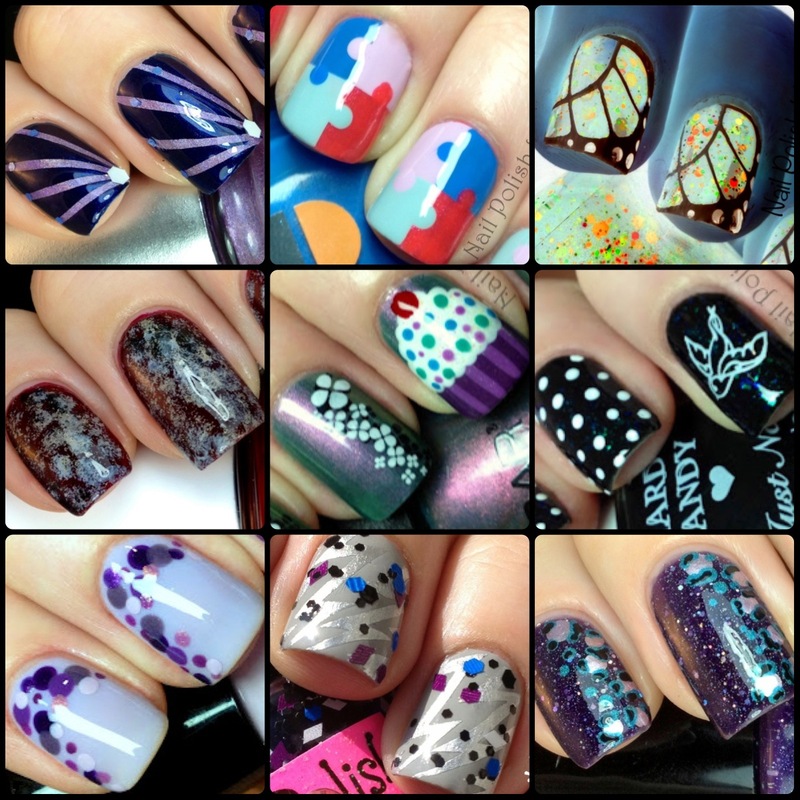 I'm so excited to see what the next year will bring for Nail Polish Wars. And again, thank you all so much!!! Happy anniversary! I'm looking forward to the next year. Happy Blogiversary! I love your posts and hope I do so well in my first year of blogging :) Keep up the fine work! Aw thank you so much ladies!! You're all amazing!!!! amazing work!!! you're so freaking good. i need to practice wayy more! Happy Anniversary! You've accomplished lot in a year girl! Congrats and keep doin' this cause you rock!!!! You totally deserve all this love we send you! You're inspire us all with the great thing you do! 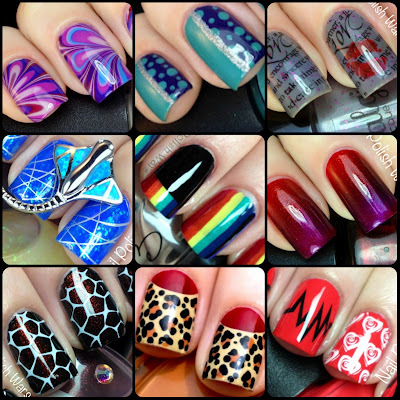 I decided top get into this NAW (Nail Art World) because of girls like you! congrats girl!!! haha mine is on novemeber 11th! great minds blog alike! i love reading your blog, and i cant wait to see what you come up with for the next year! Congrats on one year! 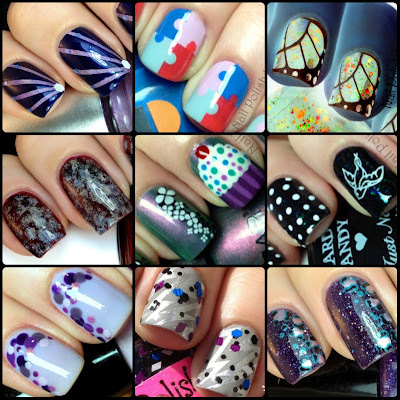 I am looking forward to many, many more gorgeous swatch posts and fabulous manicures! Happy blogiversary! Your blog is just amazing, I was so glad to discover it as I love love love your nails! Hope the next year is even more amazing and fun! Thank you! For this truly amazing blog. I love coming here once in a while and flip through your amazing manis. And hey... talk about success!! In one year you have accomplished quite a lot!! Congrats! happy anniversary!!! I love your nail art!